DeskAway is a web-based project management tool that helps teams to organize, manage and track their work from a central location. We believe that teams can work smarter by automating and simplifying their communication. DeskAway is positioned between the simple project tools and complex per user per month project management software - its packed with powerful features and affordable plans (plans start from FREE to $99 per month, unlimited users) that can be used by even the most non-technical person in a team. Some of the hottest features till date are automatic email reminders, cloning projects and reporting & analytic. My company switched from BaseCamp to Deskaway six months ago and it has been a major hassle every week to maintain. When we are assigned to do something, my co-workers and I have to create a "Milestone", then a "Task List" then a "Task." Pretty much, we have to enter an assignment THREE TIMES to log it. Also, the calendar doesn't show you when a task starts, it only shows when it's due, something BaseCamp did. When my boss sent issues to me, I did not receive emails which the system is suppose to do, plus they did not show up on my calendar nor on my home screen. I almost lost my job because of this. I've tried using shortcuts to reduce the time I spend each week entering tasks in the 8 projects I'm in charge of, however they did not meet my supervisors' standards, so I'm stuck wasting 2 hours every week entering the same tasks every single time. The shortcut I used was a "recurring task." This is might be a good tool for management, however your employees will absolutely hate it and you in turn. All our plans come with a 30-day free trial. This will give you enough time to test out all the features and see if this is right for your team. We do not require you to enter your credit card at the time of signup. All plans include email reminders, reporting, time tracking, branding, backup & personalized email support. One common benefit amongst all our customers is better communication translating into time savings and lower project costs. Below are some frequently asked questions for DeskAway. Q. What type of pricing plans does DeskAway offer? Q. Who are the typical users of DeskAway? Q. What languages does DeskAway support? Q. Does DeskAway support mobile devices? Q. Does DeskAway offer an API? Yes, DeskAway has an API available for use. Q. What other apps does DeskAway integrate with? Q. 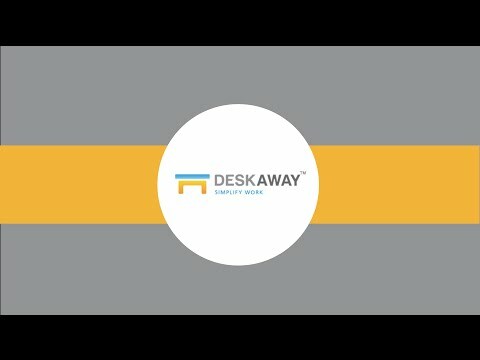 What level of support does DeskAway offer? Q. Which apps is DeskAway compared to most often?